I have a theory about the impact of social media on our interactions with each other: Twitter and Facebook are the closest thing we have to actual telepathy, where we get raw, brutal insights into the minds of those around us, oftentimes whether we want to or not. To illustrate the net result of this, I give you an anime parable from the Japanese cartoon Kino’s Journey. Kino is a young girl who rides around on a talking motorcycle called Hermes, going from fictional country to fictional country, never spending more than three days in the same spot. 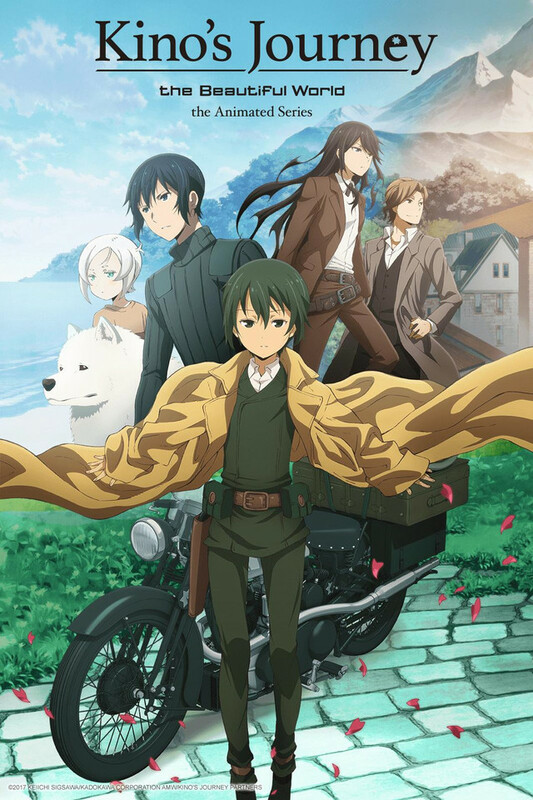 Each episode of the cartoon (available on Amazon) had a fairy tale quality to it, and Kino learned lessons from the various places she traveled. I found it quite touching and insightful, as any good fairy tale would be. The pilot episode has hung with me for a few years. Kino arrives in a country where everybody is in hiding and nobody leaves their homes to talk to each other. She visits a man in his home and learns that everyone in town drank a potion that would give them telepathy. The idea was that if everyone understood each other’s thoughts, it would create harmony. Instead, it drove everyone apart, and nobody could stand each other. Even the man and his wife split up, despite loving each other deeply before the potion. He was a musician and she was a florist, but neither of them could stand each other’s trade by the time the telepathy had taken full effect. Now everyone lived so far apart that they wouldn’t have to hear each other’s thoughts. As tragic as that was, Kino noticed when she left the man’s house that he had maintained the flowers out front, the flowers planted by his wife. Down the road, Kino passed another house occupied by the wife, and she heard classical music coming from inside. There’s a reason our innermost thoughts are known only to us and God. Part of the human experience is to decide what to say, what to think, and what to keep to ourselves, especially in consideration of others. This burden is heavier than we think, and we ignore it at our own peril. People leave their mark on us in one way or another, especially the ones we love the most. Those closest to us can push our buttons in ways that others can’t, but we take people as the sum of their parts. Love (specifically) and society (broadly) is about living together in spite of the things we might not like about each other, because we value the things we do like about each other. I’m writing about this tonight after an experience I had yesterday, where somebody shared an opinion on Twitter that grated hard against my values. (Shocking, right.) This person was also an artist, working in a different medium than I do, but I am a fan of their work. I’m sure they felt very passionately about what they said. They might have even been coming from a genuinely good place. My instinct was to assume otherwise, to the point of feeling like they were directly attacking my belief system, and by extension, me. When I sat down to update my journal for the evening, I chastised myself for thinking that way, and recalled Kino’s journey to the country of nationalized telepaths. This wasn’t the first time I had had such an interaction with a fellow artist. I myself am on the “conservatarian” side of the spectrum, while a lot of other artists fall on the left side of the grid. What good would I be doing them if I got so angry at their Tweets or blog posts that I cut them out of my life? Not just stopped following them on social media, but tossed out their books or albums or movies? I used to follow a bunch of authors and artists whose work I loved (and still do.) But most of them, at one point or another, spouted off ideas that I found philosophically wrong or politically ignorant. Often in today’s climate you’ll see people attach their dislike of an artist’s work to a dislike of the artist’s values, whether or not those values are reflected in that work. And I think back to Kino. I think back to a nation full of people living so far apart from one another that they have no interpersonal connections, no communication, because they can’t stand each other…and yet they miss each other. People will spout off on the Internet with things that they would mostly never say in real life to a random stranger. (There are exceptions, we’ve all met one.) I don’t blame Twitter or Tumblr or anything for this; a person’s words are the property of that person. They alone are answerable for it. Other times, if I run into a fellow artist who starts spitting political fire all over their platform, my policy is just to mute or unfollow (if it’s bad enough), and continue to enjoy their work. I don’t have to be a florist to enjoy flowers, or a composer to enjoy music. What I’m trying to say with all of this is that social media connects us to each other in ways never before seen in human history. Maybe the rampant, staggering division is an unforeseen consequence (I doubt it) but we can still choose to be better. To be kinder. To listen to each other. And to share the best things about us with each other, patiently, and considerately. I hope all of this made sense. Online, you’re pretty close to reading someone’s mind. Remember that everyone is imperfect, like you, and that before we completely cut anyone out, let’s remember the good parts about them in the first place. That’s all for now. Get back to work. Previous Post Pacific Rim Uprising was really cool.